This entry was posted in Audio, Music and tagged 2003, 35th Anniversary, Bloomsbury Theatre, London on November 30, 2003 by caravan. 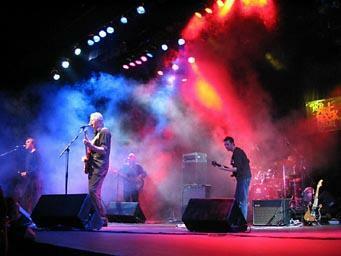 Does anyone know who one the tickets to see Caravan 4th Dec?? Love that song. Hope The Band give some concerts outside of England. I also count on a new album. see you all in london in july god willing!Thanks to the band and all the fans for carrying on I thought I may not get to ever see them again which was as dificult to take as when Jerry Garcia died.That`s how much I love this band!Oh deep joy! We should have a Caravan meeting point – I can’t wait to see them at High Voltage! 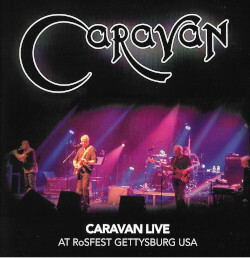 One of my biggest goals is to finally see Caravan live. I don’t know if it’ll happen but I’m gonna keep watch for the opportunity. Come back soon to France !!! I have been a fan for more than 30 years … I’m so glad you guys are back! You were the band of my youth and I am in tears of sadness and joy after discovering this site and some footage on youtube tonight. Any Scottish fans from the early 70s out there? Edinburgh October15th Further details to follow shortly. Can’t wait to get the new dvd! Hope to see them live real soon. Please Please play If I Could Do It Again I’d Do It All Over You (Who Do You Think You Are) at High Voltage so many memories from College in 1970/71 I still play all my caravan albums but IICDIAIDIAOY is the best B side ever. Brilliant news to hear you are out there again! Just listened to one track and it has brought great memories flooding back!! Colston Hall The Flamingo Ballrooms in Hereford Malvern. Great stuff and will see you soon.